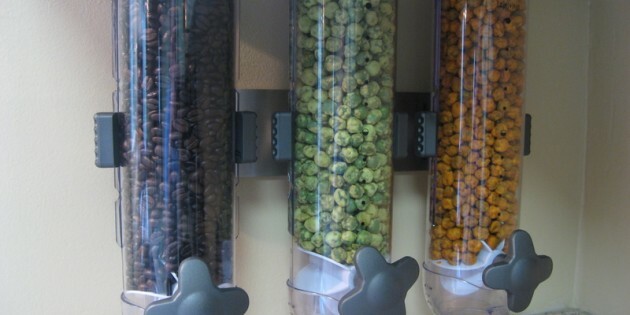 We were envious of the wall-mounted cereal dispenser featured on Big Bang Theory. We found it, and the Zevro WM300 is a fun way to save space in your kitchen. My bay windows make it hard to install regular curtains. The bending curtain rod Bayview by Umbra Solutions was easy to install and did the trick perfectly. The flexible elbows allow the single rod to adapt to your window’s angles and requires no cutting, adapting, or swearing. Waste conservation for lazy people.